Good morning and happy Saturday!! 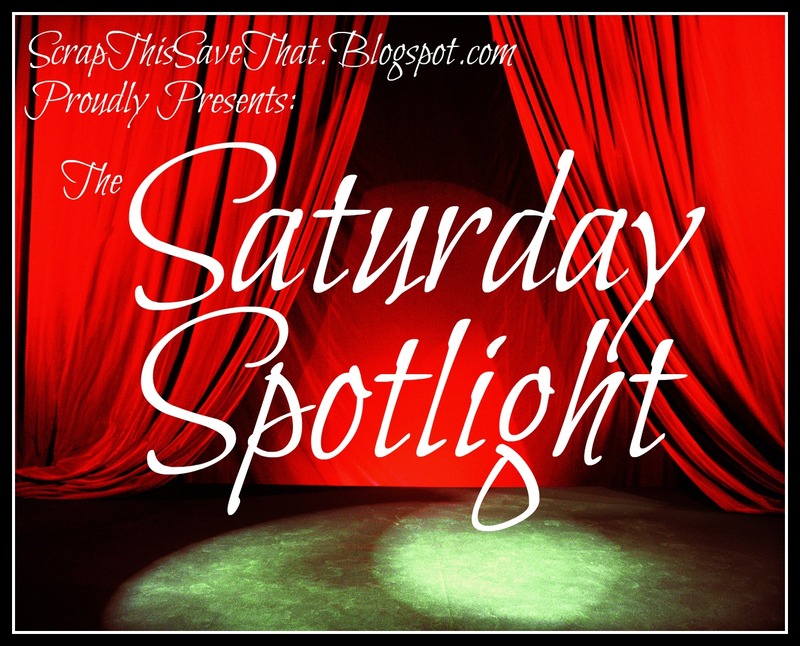 Welcome to our latest edition of The Saturday Spotlight. 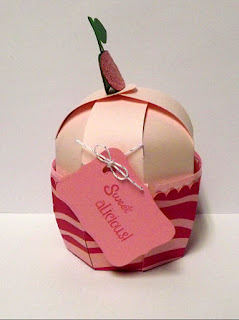 This week, I'm thrilled to feature one of my all-time favorite people, Kristan, from Baby Cakes. I was so excited and honored when she agreed to be in the Spotlight! Kristan and I became bloggie friends about a year ago, when I wrote a post about my daughter's work, and National Domestic Violence Awareness Day. Kristan left a heart-felt, and gut-wrenching comment on the post, that I thought was so brave. I've loved her ever since! Below, are Kristan's words about her blogging, scrappy journey. I starting crafting at a very young age. My mom is very crafty so naturally I picked it up from her. I participated in a program my mom ran at our local church for young girls to help them learn how to bake and make all different crafts. Later, I took art all through high school but some how lost touch with that side of myself. 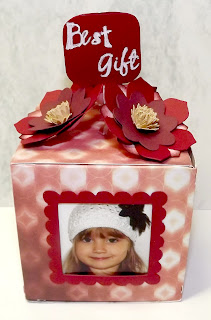 It wasn't until I became pregnant with my daughter (who's now 4 years old) that I began scrapbooking. Naturally, my mom had an influence on that too! She had seen an infomercial for the Cricut and decided to buy it. I would use hers when ever I was over and then after I had my daughter I ended up moving back home so I never had the need to buy my own. Then two years ago, our local Costco had a great deal on the Cricut Expression bundle that I just couldn't pass up. In 2010, I was asked to make a scrapbook for a little girl that my mom and I babysat. I started looking ideas up online and saved them. Little did I know, at the time, that the ideas came from blogs. Fast forward a year... when looking at some of those saved ideas and searching for others I came across My Pink Stamper. She was having a give away and I decided to enter. The problem was that I needed a blog to comment on her post (or so I thought. I had never even heard of blogs back then.) I made up a blog and really had no idea how it all worked. I was just flying by the seat of my pants. 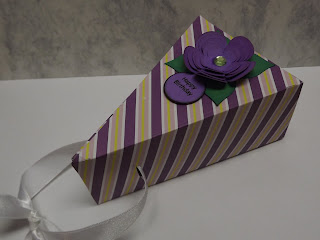 I started posting cards that I had made, and I entered giveaways. At first I felt weird since English was my worst subject in school and I am a very quiet person. Now I am so glad that I made my blog as I have met alot of great people (online) and have made some great friends. I spent 5 months on the Getting Cricky With K Andrew Design Team but sadly had to leave due to work. I feel that I have evolved as a crafter and have learned a ton. I have also SPENT a ton as you come across amazing companies while blogging! In the future I hope to still have my blog, but my dream and I do mean DREAM, is to have my own line of stamps. If that can't happen I would love to be able to sell my cards and make a few bucks doing what I love. 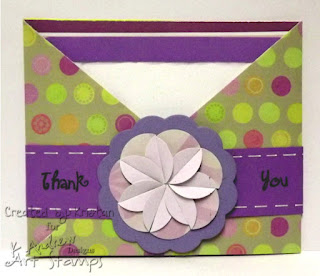 I really hope you'll stop by and show Kristan some love on her blog. Take a peek around and see how incredible she truly is! I heart her!! Absolutely beautiful projects! I will definitely go over and check you out. Hold on to your dream. You can do it!! Amy, I love these Spotlights! I love meeting/seeing new and upcoming bloggers!! I've just come over from Kristan's blog. She really is a fabulous person and wonderful crafter!! A Giveaway You Should Know About! Blitsy, Candi, And A Winner!